Buttersoft Italian full grain leather! Mmmmmmm!!! Oh the smell and feel of this one! So soft and fat in my hands! 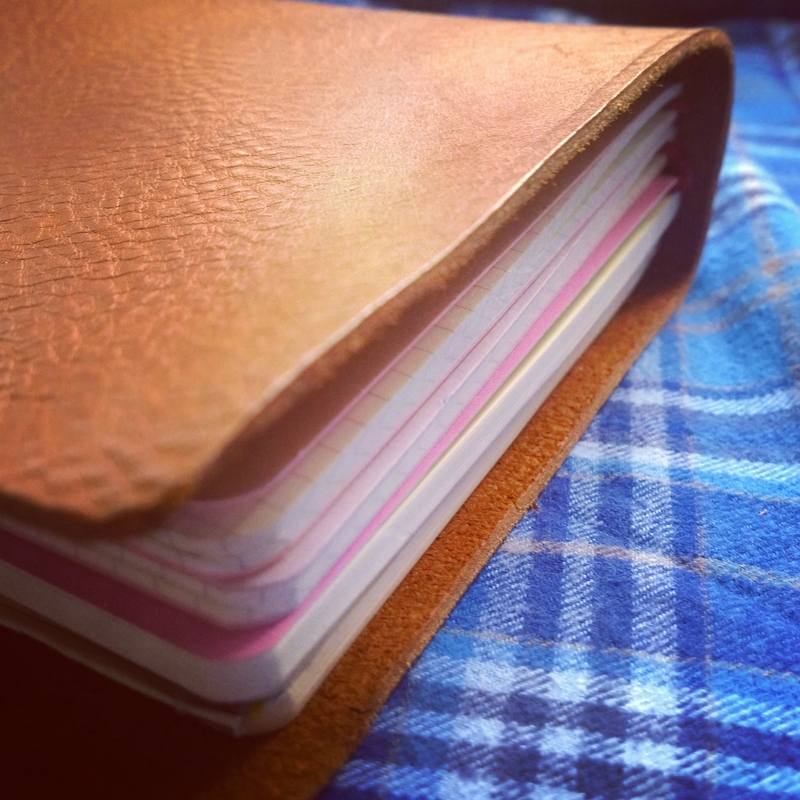 My long-suffering Midori Travellers Notebook, otherwise known as Coco, has been relived of her huge burden of books and now looks slim and neat with just a notebook for listing (to do, shopping and meals) and my diary. My sweet narrow sparrow now houses my daily journal and watercolours, and this baby, made by me!(!!!!) in size Grande, is packed with Moleskine large cahiers and is for when I need to write out ideas, plans, thoughts, dreams in much more length and detail. I've made a few more out of the stunning hide of full grain vegetable tanned Italian leather which I got from my local leather dealer. He has 40 years of experience in the leather trade, and gave me full run of his warehouse to find a hide of the perfect colour, finish and thickness to make my fauxdoris. Visit my etsy shop here if you'd like to see the full range and buy yourself or someone you love a gift that smells and feels amazing!